Harvard St. Across From Naples Rd. Looking southeast from Fuller St. toward Coolidge Corner. 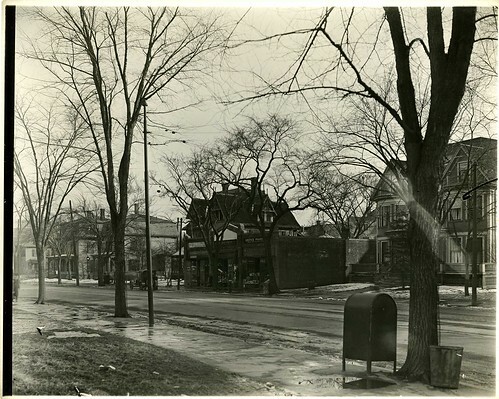 Right: 406 Harvard St., no longer stands. Center: 402 Harvard St., the 3-store brick building still stands today as part of a longer row of stores. Note Krotki's Pharmacy.